Some very simple color tricks can help to make the color of your eyes pop and can also help with concealing! So, what color eyeshadows will bring out your eye color? If you have BLUE eyes: The direct complement of blue on the color wheel is orange. Orange based eyeshadows will help to make your blue eyes stand out. This does not mean you have to go out and buy orange eyeshadows (you will not see many of those because orange eyeshadows are pretty ugly). More of an approachable color that will work just as well is brown. Browns and bronzey colors will do wonders for your blue eyes, especially when they have warm, orange undertones. If you have GREEN eyes: The direct complement of green is red. Similarly to orange eyeshadows, red eyeshadows would be a bit scary. To make green eyes pop you want to go for rich, deep purples. Colors that are a mix between purple and red (try Cranberry by MAC) will also work very well! If you have BROWN eyes: Brown is a tricky one because there is no brown on the color wheel. However, I have found that navy blue makes brown eyes pop so nicely. Brown eyes will also be enhanced with black and dark purples. If you have HAZEL eyes: Hazel eyes are another tricky one because there are so many different colors that come with hazel eyes, brown, green, yellow. What colors you wear depends on what colors you want to enhance. I think the best colors for making hazel eyes pop are dusty rose type colors- deep pinks and purples. Purple is the direct complement of yellow, so purple will make the yellow in hazel eyes look gorgeous. Information about colors can be extremely useful when concealing! If you have unwanted redness, blemishes, Rosacea: Go for a green concealer (which they do sell, try Make Up Forever concealer palette or Coastal Scents colored concealer palette) or a green based primer (Smashbox sells this). The green does wonders for neutralizing redness! If you have blueish dark circles: If you look at the circles under your eyes, they will look more blue or more purple (for a reference mine are more purple). If your circles are more blue, find a yellow based concealer. 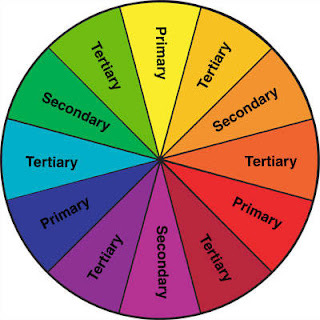 If you have purpleish dark cirlces: If your circles have more of a purple look, find a more orange based concealer.